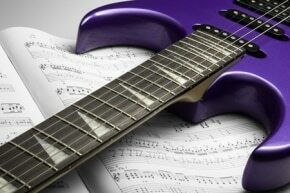 Many guitar players of all levels consider taking guitar lessons. Lessons can be a wonderful thing and can move a student quickly along their musical path, very often at a much faster rate than independent study alone could accomplish. It is important, however, that the student understand the lesson process before starting and have some realistic vision of what they can expect from the lesson experience. Too often, students pick the wrong teacher, have skewed expectations of their own progress, or succumb to some of the other pitfalls that are lying in wait for those who don’t work their lesson thing the right way. 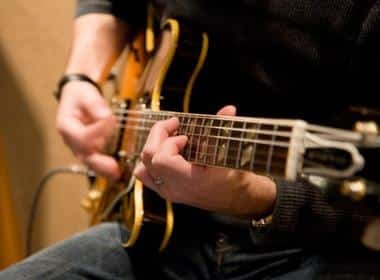 That is why I, your humble Gear-Vault correspondent, decided to take this topic on and give some information out that may help those seeking instruction to get the most out of their guitar lesson and practice time. I have been a student and a teacher for many years, teaching 30 to 50 students weekly, and hope that by giving you, my faithful readers, the benefit of my experiences in the lesson trenches, that you may be better equipped to find and keep a great guitar teacher and get to where you want to be with your playing. No matter if you are an expert player or a rank beginner, it is worth it to take the time to shop for and to interview prospective teachers. The relationship that exists between student and teacher is very important and needs to be honored and cultivated. Be sure a possible new teacher actually teaches the things you want to learn, knows the styles you play, and can provide references to current and former students whom he or she has helped to reach their goals. Look for compatibility, both musically and inter-personally, to insure a good fit. If you want to learn Bob Dylan and Neil Young but your teacher only knows Lamb of God and Cradle of Filth, your lessons will not go well. Your guitar teacher should have a professional attitude and way of being. Look for someone who keeps a decent teaching studio, runs a timely schedule, dresses appropriately, and runs their business like the business it actually is. If you begin studying with a teacher and they show up late, drunk, high, or in their bathing suit, move on to greener pastures. Yes, I said it. Reading music is important. The only person who will tell you that it isn’t important is someone who can’t do it. Someone who can’t read can only be so much of an instructor for you. A non-reading teacher can maybe write out some tabs for you or show you how they, personally, do things, but will be a dead end as far as learning music theory and concepts. If you are studying with someone like legally-blind superpicker Johnny Hiland, disregard this point. Otherwise, this should be a deal breaker. This is huge. Any good teacher has a busy schedule and needs you to hold up your end of the deal. What does that mean? That means showing up on time, having your lesson materials with you, paying for your lessons on time (usually on the first lesson of the month for the month), and communicating any schedule issues you might have to your teacher. Remember, that thing in your teachers’ hand is a pen, not a magic wand, and he or she cannot help you learn if you don’t do your part to keep the process going. This is really the most important thing of all. Without daily practice, no progress can be expected. If you don’t have the time to practice every day, then maybe guitar lessons are not right for you at this point in your life. If you do take the plunge and sign up for some instruction, do your practice and don’t make excuses. Your practice time is the most vital part of learning and getting better, almost more important than the lesson, itself, and is where your gains will actually be made. If you do not practice, you can take a weekly lesson for 100 years and see very little improvement. Advanced students should ask their teachers about structuring a practice program that will allow them to improve at the rate they wish to improve at. 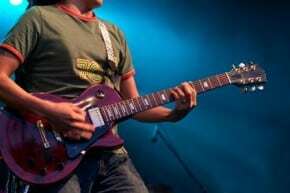 Hopefully, this little article will give those considering instruction some basis to go on and what they can expect from taking guitar lessons. 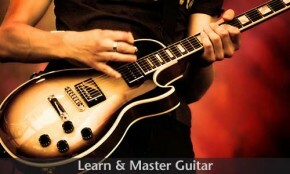 There are many ways to get better at the guitar, and private lessons are just one of them. 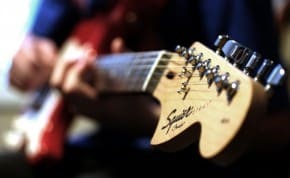 However, a good guitar teacher can get you moving down your musical road a bit faster, save you much fumbling around, and, at best, inspire you to be a life-long learner and open up doors for you and your music that you never even knew existed. 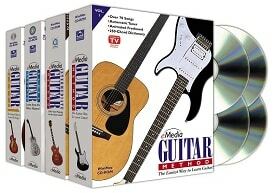 Also, check out some awesome guitar lesson books and DVD guitar lessons to help you get started! True, we’ve all been there. We can tell who practised and who didn’t!